When my 2-year-old son Jamie was an infant, I watched the final three outs of a Cubs loss on television with him in my lap. He broke out in crocodile tears and that stereotypical loud infant shriek, in perfect timing with that third out. Exploring fatherhood one dirty diaper at a time at <a href="http://spiralingupwards.com>SpiralingUpwards.com</a>. "The Cubs lost, get over it," I told him. "You better prepare for a lifetime of misery if you are going to get that attached." And with that, we had one of his first life lessons. Or maybe he was crying because he was hungry. I'm not sure. It's safer for him to believe Santa Claus will pay a visit at the ripe age of 25, than to think the Cubs can win the World Series, right? If I teach him the kind of hope required to be a Cubs fan, he'll think unicorns and Leprechauns are real. He won't have a healthy fear for the power of a Billy Goat. He'll grow up thinking the impossible is possible, and we just can't have that. 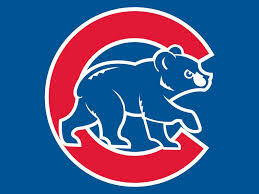 The Chicago Cubs may be messing with my worldview a little bit, and what my role is in shaping my son's. This team is showing no signs of the "Here we go again" Cubs. Yet I've been burned too many times to be anything but a cynic. I have to keep myself guarded until the third out of the ninth inning of the final game. And of course, I need to acknowledge my protective parental instinct. Let's face it. There's your garden-variety professional sports franchise bad, and then there's the we haven't won a championship in 107 years kind of bad. The second takes a special kind of talent that only Chicago's north siders were able to muster. No team in any sport has been this perennially awful. "Well, they play the games for a reason." "There's some possibility that they could win, right?" Not a Cubs fan. Usually sometime around opening day a Cubs fan has more in common with the bowl of petunias in Douglas Adams' Hitchhiker's Guide to the Galaxy. As it falls from the sky the bowl utters the phrase "Oh no, not again." I'm not sure who coined the phrase "cautiously optimistic," but I'm fairly sure it was a Cubs fan during a rare playoff series who thought he was hedging his bets. He probably ate his words then, moments later. I'm scared because I'm not feeling any of the typical gloom and doom right now, and it's my job to protect an innocent 2-year-old from that same gloom and doom. He doesn't know better. We've still got to wait 'til next year, right? There's no chance they can do this, right? They just beat the (statistically) best team in baseball in four games. It might be. It could be...Oh, how do I condition my son for a lifetime of awful?